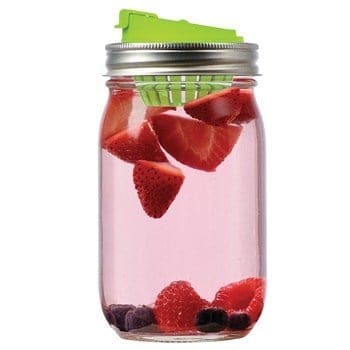 Treat yourself to simply delicious, naturally fruit infused water with these fruit infusion lids for Mason jars! These fruit infusion lids let you infuse your beverages with REAL fruit, and in a Mason jar, to boot! It doesn’t get much better than that!